Budapest/München, 26. Juli 2012 - Ab sofort gibt es BIMx (Building Information Model Explorer) von GRAPHISOFT als mobiles Präsentationswerkzeug für dreidimensionale Architekturmodelle auch für Android-Systeme. Bisher war BIMx bereits für Windows, Mac OS X, iPad und iPhone verfügbar. Mit dem BIMx entwickelt GRAPHISOFT nicht nur neue Standards der Projektpräsentation, sondern setzt auch Zeichen für eine zeitgemäße und optimierte Kommunikation zwischen Architekt, Bauherr und Investor. GRAPHISOFT announced today its latest innovation specifically targeted toward Android device users. 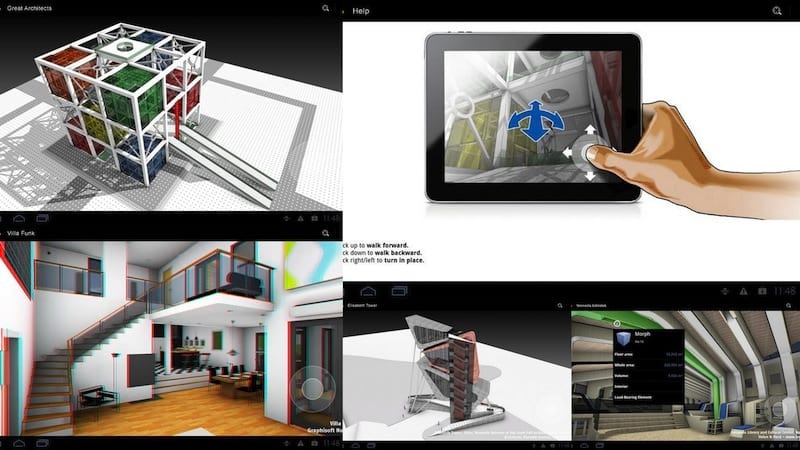 GRAPHISOFT BIMx™, the ultimate communication and presentation tool for BIM projects, is now available as a 3D viewer app for a range of Android devices, in addition to the iPad/iPhone. The Facebook-integrated BIMx community and the new Model Transfer site help spread this innovative technology among architects, clients and all other stakeholders. BIMx (Building Information Model Explorer) is an interactive environment with game-like navigation, allowing anyone to explore full BIM models without holding a license of the professional authoring software in which the building model was originally created. ArchiCAD users have been able to publish self-running BIMx models to run on desktop computers (Win/Mac), and on the iPad/iPhone with a purpose-built app directly linked to the BIMx community for "social" model sharing. Now, Android users can enjoy the same benefits BIMx offers to iOS users, by downloading the player. With BIMx, GRAPHISOFT puts BIM into the hands of all stakeholders not actively involved in the actual creation of the BIM model such as contractors, builders, clients, owners, and principals of design practices. The integrated BIMx community on Facebook is the central hub for sharing interactive 3D building models. Architects holding either a commercial or educational BIMx license can publish their models directly to this online community. Native Facebook functions such as comments, likes and share are extended with customized functions for filtering models, searching models using key-words or finding uploaded models of specific users, architects or clients. BIMx models can be uploaded, browsed and downloaded by non-Facebook users as well; only "liking" and "commenting" requires Facebook registration. The BIMx Model Transfer Service is a brand new “cloud service” offered to BIMx users with an active ArchiCAD Software Services Agreement. Users are entitled to 1 GB free cloud storage space with each commercial BIMx license they own. For more security, users can also password protect their files.